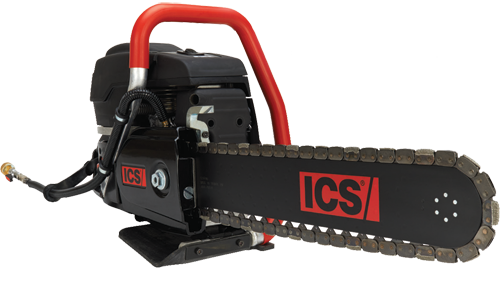 Built to provide the best combination of performance and portability for cutting in-ground utility pipe, the 695XL-PG Gas-Powered Utility Chain Saw with PowerGrit chain will change the way you cut pipe. 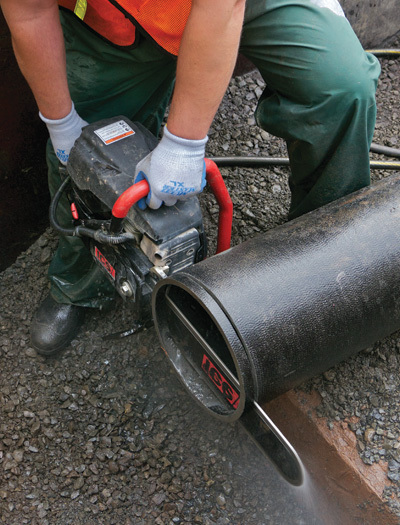 The 695XL-PG offers an unmatched power to weight ratio, allowing you to cut up to 16” deep from one side into ductile iron, cast iron, PVC, HDPE, and Insituform lining. 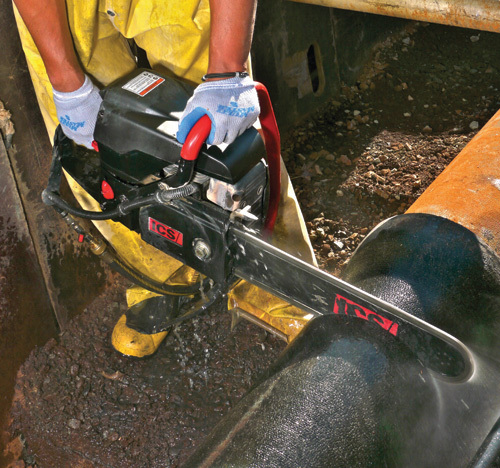 Also the 695XL-PG is capable of operating the full line of 16” ProFORCE concrete cutting chains, meaning you can use the saw on masonry, stone, and even reinforced concrete – perfect for pipe taps, utility vaults, bridge work, and other utility applications.